A few months ago, I traveled to California with my wife to watch my brother Tyson compete in an Ironman triathlon. It was pretty amazing to see him, along with everyone else, both men and women, swim, bike, and run for 8 or 10 or 12+ hours straight. It was nuts. Imagine getting up early, before the sun is anywhere near up, and wading into a dark river and swimming for about an hour- with no stopping, rest, or lifeguard. Then, instead of dying an anonymous silent death and sinking to the bottom of the murky water, you run to your bike, and hop onto the most uncomfortable bike seat ever designed, and start pedaling- for about 6 hours. Then, after crouching and straining on that bike for the same amount of time as two full length Lord of the Rings movies, and looking more like a crooked old lady with scoliosis, you get to relax by running a full marathon. Its mind boggling. After witnessing this event, and seeing Tyson do so well. I had a familiar feeling start to swell inside me. It was a familiar feeling that had been silent, dormant, and suppressed for quite a while, but began to fester up just like a long forgotten illness. It was the re-emergence of the “I can’t let my brother beat me” syndrome that I thought I had fully recovered from. Turns out, there really is no cure. You can’t beat it, you can only hope to contain it. Tyson, from years of competition growing up together, knew just the kind of salt to throw in that freshly opened wound as over the next few days, he “encouraged” me to throw my hat in the triathlon ring. Smarter men, like my other younger brothers Casey and Riley, would have been wise enough to see the end game, and let that “encouragement” go unacknowledged or laugh it off altogether. But, because of my newly reopened competition illness, I fell for it. Both Tyson and I suffer from rather severe strains of this disease. I had previously enjoyed a stronghold on the long distance running record amongst my brothers with a full marathon, but even that looked pretty pathetic now. I had just been ceremoniously slapped across the cheek with the proverbial gauntlet. And he did it in such a nice way which was even worse. So, I was done. And, soon after returning home, I signed myself up for a small triathlon, and started training. Running and biking weren’t so bad, having done endurance training before. But, here’s the difference, you can breathe when you run or bike. And I happen to be very fond of breathing. Swimming, however, presented as a whole different set of problems for me. The first time I hit the pool, I knew it would be tough, but that was an understatement. I never realized just how far 25 meters can be until I tried to swim it. It then got worse as I then turned around, and did it again, and again, and again. It was exhausting. Its kind of like tying a plastic bag over your head, and walking on your hands up a steep hill. After my first training session in the pool, I didn’t die, but I did I feel nauseous and lightheaded for hours afterwards. And that was only after about a whopping 200 meters with life-saving gasping-for-air breaks after each 25 meters. I was in trouble. The next 8 weeks were brutal. I was thrown by how slow my progress was. I was used to being able to train regularly for 2-3 weeks while running, and seeing some significant improvements. With swimming, I was able to go a bit further, but it was very slow, slow, slow improvement. I felt I was improving at the pace of the sloth at the DMV in Zootopia. Swimming was the obvious weak link on my chain. I knew that going in, but that reality soon started to hit me, hard. I started to have serious doubts, not necessarily about my ability to finish the race, but in my ability to actually survive the race. The way I saw it, if I didn’t somehow have arm floaties on, I only stood at about a 50:50 chance of surviving the swim portion. Seriously. I’m not even kidding. Now, I don’t like to have weaknesses, let alone having very apparent ones, so this was uncharted territory in a sense. I was eating some serious humble pie, like several meals a day strict diet of humble pie. It was frustrating, but I stuck with it. Now, after almost 12 weeks, I am proud to say that I have confidence that I will not die in 3 weeks when I go for my first little triathlon. It has been a slow go, but I can tell I have made improvements. Thank goodness, because, I don’t want to get lapped by those 87 year old grandmas because I can’t get out of the pool. This process that I am in the middle of- this process of trying to get rid of my weakness, and possibly even turn it into a strength, is a principle that we are familiar with. Its frequently taught in the Book of Mormon. A few weeks ago, I recognized this principle all over again in a seemingly unrelated story. This time it was embedded in the way the Nephites dug ditches. In Tyson’s last post, he mentioned that Moroni had prepared the Nephites to fight in the most unfair way possible against the Lamanites. He did it with unprecedented preparation. You can read it HERE. This process employed by Moroni has everything to do with the famous scripture from Ether. In his book, he explains why we have these weaknesses…. Ether wasn’t necessarily talking about swimming, or even Nephites digging ditches, but the principle applies to both of these scenarios. We learn all about Moroni’s ditches in Alma chapter 49. It explains how the Nephites rebuilt the city of Ammonihah after it had been destroyed. They rebuilt it and then some. It was obviously regarded as a weak spot for the Nephites…. So, the Lamanites were looking for the wimpiest spot to attack the Nephites. Remember that Ammonihah was wiped out in one day. It should have been easy pickins’ for the Lamanites. The Nephite resistance should have been like me swimming 100 meters in the pool. Weak cheese. But, the Nephites had worked hard- very hard, in fact, to prepare themselves for that moment. The Nephites had dug a ditch, not just any ditch, but a ditch so deep, and the accompanying ridge of earth was so high, they couldn’t hit the top by throwing stones or shooting arrows. I don’t know about anyone else, but I think that is a lot of dirt. Thats a big hole, and a big bank of earth. I picture these Nephite soldiers shoveling, hauling, digging, laboring day after day load after load after load to prepare this city. I can imagine that in the beginning, it seemed like a daunting task, kind of like me imagining myself swimming in a dark river for over 2 miles at 5:00 a.m. But they kept at it. I am absolutely positive, that when these Nephites finished moving that vast amount of dirt, and constructing this massive protective wall all around their entire city, they were stronger than when they started. How could they not be? They probably looked like a bunch of linebackers fresh from the gym. But, it didn’t happen overnight. It didn’t happen by a lightning strike, or by the fairy Godmother coming and throwing twinkle dust the ground and turning it into a perfectly structured dirt fort. We don’t know exactly how they constructed this ditch or the bank of earth, but it wasn’t with a back hoe or diesel powered crane. It was built bit by bit, little by little, Im sure almost imperceptible progress was made. But the process made those that were working on it strong, and the process is what transformed the city from a weak point into a stronghold. That same weak city that had been wiped out in a single day. “Now behold, the Lamanites could not get into their forts of security by any other way save by the entrance, because of the highness of the bank which had been thrown up, and the depth of the ditch which had been dug round about, save it were by the entrance. And thus were the Nephites prepared to destroy all such as should attempt to climb up to enter the fort by any other way, by casting over stones and arrows at them. The Nephites had gained the advantage. They had put in the time, and had become incredibly strong. But it wasn’t by accident. It was a long, deliberate process. The cities and men had become strong by identifying and working on their weaknesses. By working, digging, scrambling, struggling, pulling, pushing, sweating, and preparing. The Lord can, and will make our weaknesses strong, but he doesn’t just give it to us. It requires work on our end. We need to first recognize our weaknesses, and then we need to humbly commit to strengthen it by work. Then, the Lord blesses us, and aids us in our own little battles. Moroni didn’t strengthen just the obvious weak spots, he strengthened all the cities. He didn’t take a look at Ammonihah, or Noah, and say, “Nice, our job is done.” He kept going. There is always room for improvement, or strengthening. That means, at the same time, there is always work to do. We can’t stop shoveling, or hauling, striving, or trying. The beauty of all of this hard work isn’t just in the final product. A strong fort made for our own protection isn’t the only end goal. In addition to the increased strength where once we were weak, we are also happier. We are happy when we work, get stronger, improve, and accomplish. Yes, we then become stronger. But, we also are happier along the way. The Lord blesses us in sneaky ways sometimes. Who would have thought, that through all this time of massive preparation, digging ditches, chopping trees, and laboring night and day that the Nephites would be the happiest they had ever been? The Nephites were happy. Happier, in fact, than ever. Even after digging seemingly endless numbers of ditches and trenches, and hauling dirt back and forth. Their strength came from the security of shoring up their places of retreat, and strengthening their weaknesses. Sometimes our improvement doesn’t have to be pretty, or glorious, or fancy, or amazingly awesome. Sometimes we get better simply by working at our weaknesses. It may be slow, but it is always worth it. Rome wasn’t built in a day. The Great Pyramid of Giza took 20 years to build. The Great Wall of China took thousands of years altogether to make, and the iconic temple that sits in the middle of Salt Lake City took over 40 years to finally complete. Lets not lose sight of our goal- to be the best we can be, and live with God again. Lets look at our weaknesses only as opportunities for future strengths, and lets commit to be just as willing to work at them as the Nephites were in digging their ditches. Because, in the end, just like the Nephites, our safety and happiness is at stake. Eleven days ago it was September 14th. It was a special day. And, up until a few days ago, I never realized quite how special it really was. I always thought that the only thing worth remembering about that particular day was that 38 years ago, yours truly was born. But, as usual, something way more cool and better than me is the real reason for that day’s awesomeness. On September 14, 1814 something vastly more inspiring than me was born. It was the birth of the Star Spangled Banner. We all know the basics of the story. Francis Scott Key saw the flag standing after a battle and was inspired to write his poem, one thing led to another, and voila, we had the National Anthem. The back story, though, is a lot more amazing than just that little snippet we hear from the history books. Francis Scott Key was a lawyer, and an amateur poet. He had a way with words. Because of his skills, he was sent by the Americans to meet with the commander of the British naval fleet floating in the bay outside the city of Baltimore. In this fleet, hundreds of American prisoners were being kept in cells under deck. His job was to be a prisoner exchange negotiator. After reaching an agreement to release the American prisoners being held, the British Commander informed him that the agreement would be meaningless soon, because the war would soon be over. The war would end because of a massive impending British attack on the nearby Fort McHenry. The British had plans to unleash all hell on the fort. The Commander was confident that as soon as the Americans realized their plight was helpless, they would be ready to surrender. In order to give up the fight and survive, all they had to do was lower the American flag that was flying over the ramparts of the fort. If, and only if, this happened, the bombing would stop, that was the deal. The fort would then be turned over to the British, and the battle, and soon the war, would be over. Needless to say, Key, was anxious to see how this played out. All of the American prisoners below deck were also anxious to see, and were all focused on the flag flying above the fort. In many ways, that one flag’s survival symbolized the survival of the USA, and real freedom that she had fought for and won. Soon, at the twilight’s last gleaming, the bombing started. It was relentless, endless, and complete. All the British ships were aiming all of their cannon fire on the flag. If it fell, the battle was over. The bombing lasted all night. The flag took numerous direct hits, but somehow stayed upright. All night the prisoners were below deck anxiously hoping, and actively praying for the survival of the flag. They constantly begged for updates from Key as he watched from above deck. After a long night, and with the gleam of the morning’s first beam, the flag was still there, upright, although hammered, shredded, and teetering. Upon his return to the fort, Key was able to get a better understanding of just what had taken place over that terrible night. Each bomb had taken its toll. The fort had been ravished.The flag had indeed fallen several times due to direct cannon strikes, only to be hoisted back up, over and over again, by individual men. These men were willing to hold it up themselves, with their hands. Doing so was a death sentence. But, they were willing to die, so that the flag would still fly. As the bombs had been aimed squarely at the flag, the cannon fire had thus taken the lives of many of those men. Their bodies now lay strewn around the pole holding the tattered flag up at that tilted angle. Those men knew exactly what their fate would be when they volunteered to hold up that flag, and yet, they were still willing to so. It wasn’t just for the flag, but for what the flag stood for. It was their symbol of God given freedom and liberty. Is it any wonder, that after what he had witnessed, both from the ship in the harbor, and then from the fort itself, that such a poem would be written? The same flag that had inspired those men to give their lives for its continued display, had also inspired Francis Scott Key to write an amazing few verses, that now, in turn, inspire so many of us. Think of all the times that you have heard the National Anthem, before a baseball or football game, or special event. Remember each time that we all sing those words that describe the feelings of that day. Think about the climactic ending of the words, “O’er the land of the free, and the home of the brave!” It instills a sense of pride to be an American. It helps us honor and appreciate the men and women that helped preserve us a nation. That is what our flag represents. It represents our liberty, and freedom. The gifts that God gave to this land. Now lets look even further back in American history. Like about 2,089 years ago to be exact. Lets look back at the story of another inspiring flag. One that has a very similar story, and that was equally inspiring. Its pretty amazing how these stories are so similar. I guess the old adage of “history repeats itself” really is true. We read all about this ancient flag in The Book of Mormon in Alma Chapter 46. At this time, there is a huge uprising all over the land of the Nephites. If we look back at this story and compare it to 1814, its amazing how the stories can be so similar so many years apart. This Nephite uprising was led by a conniving, evil man named Amalakiah. Amalakiah wanted to be king. His only problem was that the Nephites were a free people, they no longer had a king. They had recently transitioned into a free government system of elected lower, and higher judges. At this time, the Nephite people were in their 19th year of this whole no king experiment. It was then that Amalakiah decided he should be king and because of his pride and malice, caused pain and misery. But, because he was a persuasive man he had convinced most of the lower judges to side with him. They, like Amalakiah, sought the same thing. Power. However, not everyone was on board with Amalakiah. In fact, the majority of the free Nephites opposed him. Among those who opposed Amalakiah was the famous Captain Moroni. Moroni was integral in reminding the Nephites of what was at stake, and was unrelenting in his defense of liberty. Moroni had done this same thing time and time again. He had just led the Nephites for years against the invading Lamanites in order to preserve their lands and freedom. The Lamanites were in a near constant state of war to attack and take over the lands of the Nephites. But, this time, he found himself needing to fend off the threat of Amalakiah and his supporters from within his own people. So how did Moroni do it? How did he manage to inspire an already war torn and weary people yet again? He made a flag. Not an ordinary flag, but a personalized, symbolic flag. He cut off his coat, and wrote on it by hand, he wrote just a few simple words, but words that reminded the people just what was at stake. He needed to inspire them to turn to God, and turn to the cause of freedom and liberty. He needed them to fight for the very thing that meant the most. The words he wrote on his flag were “In memory of our God, our religion, and freedom, and our peace, our wives, and our children¹”. He then fastened it to a pole and raised it to rally the people, and inspire them to join the cause. Just as the American flag over Fort McHenry stood as a symbol of liberty and freedom attained by sacrifice in war and loss of life, so did Moroni’s Title of Liberty. Both flags inspired men and soldiers to fight for what their flags represented. Which, in both cases, was freedom and liberty. Not only freedom from tyranny, and oppression, but freedom to worship God how they wished. Both of these events seemed to be centered around their respective flags, or titles of liberty. As we listen to these words of Moroni, they could almost be used interchangeably to describe the times that would come 2000 years later. “And it came to pass that when he had poured out his soul to God, he named all the land which was south of the land Desolation, yea, and in fine, all the land, both on the north and on the south—A chosen land, and the land of liberty²”. “Behold, whosoever will maintain this title upon the land, let them come forth in the strength of the Lord, and enter into a covenant that they will maintain their rights, and their religion, that the Lord God may bless them³”. This land is special. It has been special for a long, long, time. Even before Columbus was a twinkle in his father’s eye, this land was special. Long before that inspired morning’s sunlight shone on our flag in 1814. It will remain a special place for freedom and liberty for exactly as long as we treat it as such. It is a God blessed land, a chosen land for those who would honor Him. Its up to us to live up to our end of the covenant. Our blessings as a country will depend upon our collective obedience to God’s commandments. Let’s always remember the history of this great place. This history goes back thousands of years, but seems to always have a way of repeating itself. These two stories show how a simple flag served as the reminder of the fragility of freedom and liberty. Both of these flags inspire me. They make me want to be better. They make me want to be a part of the great cause of liberty and freedom. Amazingly, we still live under those same skies that watched the flag survive over Fort McHenry. We still live on the same land as those who followed Captain Moroni against the forces of Amalakiah. We still live under that same covenant today. Let’s try harder to be like those who sacrificed for us, and understood the necessity of liberty and freedom. Lets try harder to honor our part in the covenant. Lets try harder to keep God’s commandments so that we can be deserving and worthy of the freedoms we currently enjoy. The Lord of the Rings and Hobbit movies are awesome. What more could you ask for than a story full of dragons, goblins, flesh eating orcs, Dwarves, Hobbits, Humans, and special forces olympic-gymnastics-esque assassin Elves all in one place. There are so many similarities between the stories of middle earth and Christianity its crazy. This makes for totally awesome comparisons between Middle Earth and actual earth. We could probably spend weeks talking about all of them. But for today we will keep it simple. As much as I would love to write another 27 pages on the lineage of dwarves, elves, hobbits, and wizards, I’d better not. My reputation of not having a lisp and/or wearing Gandalf garb to the midnight showings of all the Lord of the Rings movies is at stake. 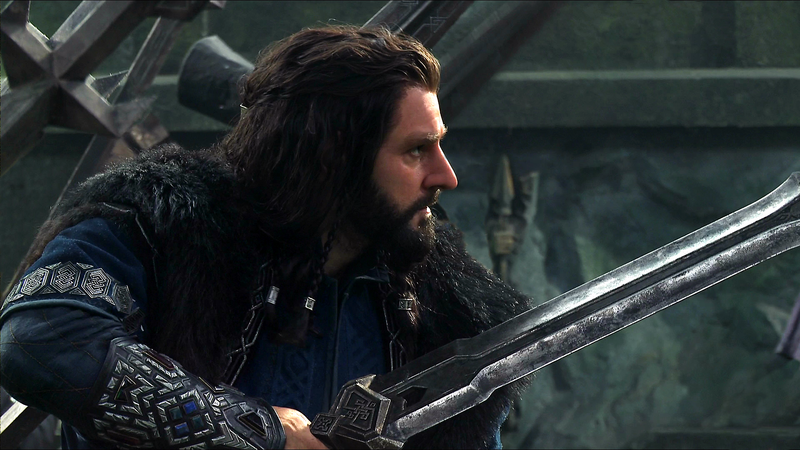 One of the principles that Thorin Oakenshield demonstrates, however, is what I would like to showcase. He is proud of who he is. He announces it openly. He feels very much responsible for the name he bears, and knows that his actions will reflect back on his lineage and carry on after he is gone. He feels this connection to his past through his name and heritage. Not exactly the best reception for the sitting Prophet. After that, Ammonihah was probably scratched of the list of cities to host the next regional conference. After being completely rejected, Alma left. Almost immediately afterwards, however, he was summoned back to Ammonihah by an angel to complete his mission there. Alma, being Alma, then decided to fast many days in order to attempt to soften the hearts of the people of Ammonihah while traveling back to this unwelcoming city of uber wickedness. This time, however, was different. The first man he saw upon his return to Ammonihah was a man named Amulek, who, not so coincidentally, had also been told by an angel that his meeting with a prophet would take place. Notice the very first words out of Amulek’s mouth to Alma, this total stranger, a man he’d never met. We don’t really know why exactly why he chose those words to introduce himself. But, in my mind, I imagine Amulek being overly anxious and even excited to express his unwavering support for Alma, the prophet, the church, and the Lord. He was proud to be a Nephite, and happy to be a part of what that actually meant. He knew the heritage behind that name, as well as how that would sound to Alma. This is awesome. Amulek is awesome. The lesson I take from him, is that I should be proud of where I come from. I should be honored to share the name of my fathers just as Amulek was. I should be proud of my heritage and lineage. I should be willing, and even honored, to wear my belief on my sleeve. That means, at the same time, I need to be worthy of my name, and who I claim to be. And that takes effort, commitment and dedication on my part. I need to BE a Nephite, in order to claim upon meeting the prophet, “I am a Nephite”! Amulek’s pronouncement was not the first example in the scriptures of clear and bold introductions. Great examples are all over the place…. “…it supposeth me that thou art a child of hell…I will come against you with my armies; yea, even I will arm my women and my children, and I will come against you, and I will follow you even into your own land, which is the land of our first inheritance; yea, and it shall be blood for blood, yea, life for life; and I will give you battle even until you are destroyed from off the face of the earth. Behold, I am in my anger, and also my people; ye have sought to murder us, and we have only sought to defend ourselves. But behold, if ye seek to destroy us more we will seek to destroy you; yea, and we will seek our land, the land of our first inheritance. In response, Ammoron tried to do the same type of thing, but unfortunately for him, it wasn’t quite as powerful…. The best example of all, and by far the most powerful to read, is the way the Lord himself handles his own introductions. He makes it powerfully clear just who He is. “Behold, I am Jesus Christ the Son of God. I created the heavens and the earth, and all things that in them are. I was with the Father from the beginning. I am in the Father, and the Father in me; and in me hath the Father glorified his name10. I want to be just like Amulek, Mormon, and Moroni. I want to stand up and honorably proclaim who I am, and live worthily to do so. I want to be just like my Savior, and live in such a way that others can see his influence on me. I want to wear my belief and my spiritual heritage on my sleeve, and BE who I claim to be. A Christian, a Father, a Husband, and a Mormon.